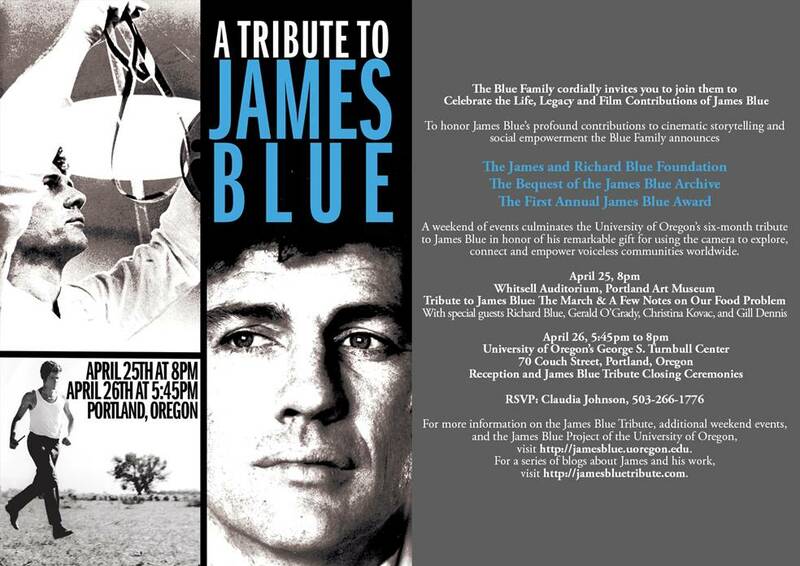 The University of Oregon provides a handy website with all the information you need about James Blue Tribute events. On April 24-26, 2014 a series of James Blue Tribute events took place in conjunction with the University of Oregon’s What Is Documentary conference in the White Stag Building, aka University of Oregon’s George S. Turnbull Center, and at the Whitsell Auditorium in Portland. On April 26, 2014 Kelly Matheson received the first James Blue Award during the James Blue Tribute closing ceremonies at the White Stag Building, aka University of Oregon’s George S. Turnbull Center, 70 Couch Street, Portland, Oregon.